Is it Time for a PhD in Data Science? I was in a meeting recently with a group of individuals, who work for a well-known consulting firm. We were engaged in discussions related to, what else, Big Data. As we were going around the table exchanging business cards and doing the routine introductions, I realized that every single person in the room held a Ph.D. 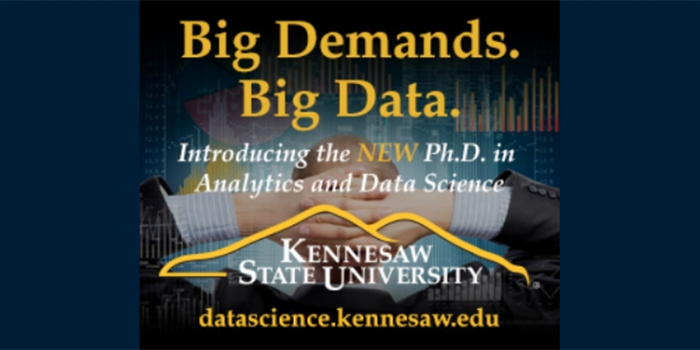 Although my initial reaction was that of surprise, Ph.D.s working as practitioners in the field of data science and advanced analytics is increasingly common. In fact, 46 percent of all professionals currently engaged in a non-academic data science position hold a Ph.D. However, these practicing data scientists hold degrees in something other than data science. Most have degrees in computer science, mathematics or statistics. So, do we need a Ph.D. in “Data Science”? We have all seen the studies which have identified that the analytical talent gap is wide and getting wider – we simply don’t have enough people in this country who understand how to translate massive amounts of structured and unstructured data to improve decision making and solve problems. In response, some universities are pivoting their programs and their course offerings to meet the needs of the marketplace by offering new programs in analytics. However, these programs are almost exclusively offered at the master’s level. The discipline of data science sits at the intersection of computer science, mathematics and applied statistics, combined with the ability to “tell the story” and tie the results back to the original question. Most master’s-level programs require less than two years of study – and some get people out in under a year. A Ph.D. program, which is typically four to five years, allows for a depth and rigor of study not afforded in a two-year (or less) program. A longer period focused on learning and research allows individuals to incubate a substantively deeper and broader understanding of the issues, challenges and opportunities afforded by data-rich environments. The need for an infrastructure for the neutral dissemination of research, scholarship and discovery. The differentiating component of a Ph.D. relative to a master’s program is the requirement to conduct, defend and communicate independent research. Where master’s level practitioners were likely taught the skills necessary to be effective in the current context, they rarely received formal training that provides them the background to research and solve previously unseen problems or new challenges. In addition, an infrastructure for academic research provides a “neutral” clearinghouse for learning, discoveries and best practices – in a manner than is less available when discoveries are tied to a private sector organization operating in a competitive environment. Academic training for next generation. The current university programs in data science are not taught by professors who hold a Ph.D. in data science. They are taught by those trained in other data-centric disciplines like applied statistics, economics, marketing, or information systems. This is a short-term misalignment. As Ph.D. programs in data science grow and evolve, a more formal “farm system” for analytical talent will emerge within the traditional university tenure track structure to continue to close the talent gap.